The new Merkur casino in Halle, Germany, has successfully completed the Global Gambling Guidance Group (G4) certification for player protection. This brings it into line with the other two Merkur casinos in the state of Saxony-Anhalt, at Launa Günthersdorf and Magdeburg. “Player protection has a high priority at our casinos; that’s why these important issues are consistently developed and adapted to current requirements,” said David Schnabel, CEO of Merkur Casinos Saxony-Anhalt. 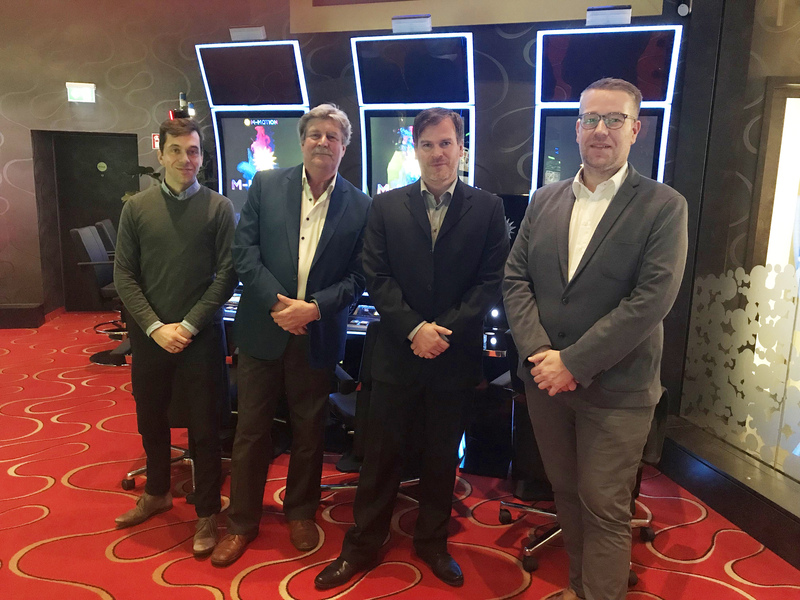 The picture shows Knuth Achilles (right), prevention officer, and Tobias Hellbach (second right), head of Merkur Casino Saxony-Anhalt in Halle with Caspar Krewinkel (left) and Pieter Remmers (second left) from G4.